New Jersey’s Salem Community College, which opened as the Salem County Technical Institute in 1958, offers the only Scientific Glass Technology associate degree program in the United States. This degree provides students with the necessary skills and techniques to construct scientific glass apparatus for university laboratories, industrial research and production. SCC also offers degrees in Glass Art and Industrial Design. 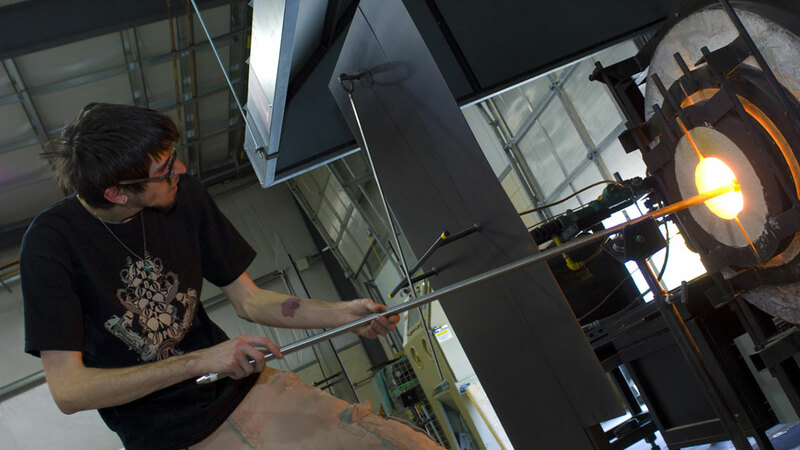 In the Glass Art program, students learn mold-making, glass casting, fusing and slumping, hot glassblowing, lampworking and cold-construction techniques. The Industrial Design program combines the creative processes with the business and technical skills needed to design glass products and to have a successful career as a glass artist. SCC alumnus, adjunct professor and artist-in-residence, Paul J. Stankard, also chairs the College’s annual International Flameworking Conference.